Green tea is a time-honored beverage choice in China, Japan and other Asian countries and cultures. 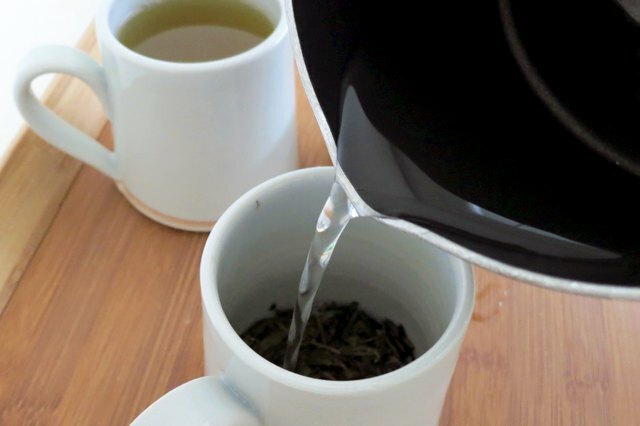 If you're trying to cultivate a taste for green tea but having a hard time acquiring a liking for it, make sure you're preparing it correctly first. If you're still unsatisfied, it's time to experiment with flavorings and sweeteners. Green tea is best brewed with hot but not boiling water. 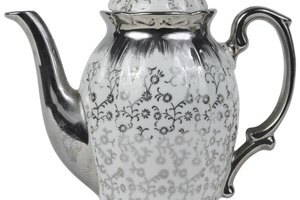 If you use water that's too hot, the tea will brew up unpleasantly bitter. If you use water that's too cool, the brew will be thin and weak. Aim for a temperature between 160 and 180 degrees. There's no need to break out a precision thermometer, however. Instead, try bringing your water to a boil, then remove it from the heat and wait 2 to 3 minutes before pouring it over the tea leaves. 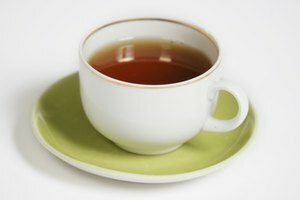 Green tea is most often brewed from loose leaves, which can be left in the cup after brewing as they tend to sink to the bottom. Otherwise, leave plenty of room for the leaves to expand and aerate as they brew. 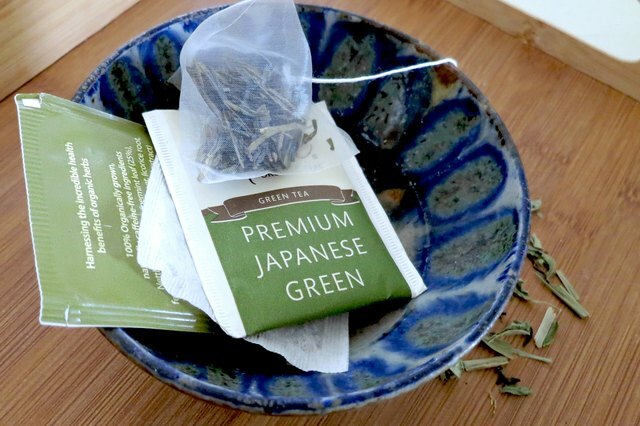 Some people prefer the convenience of green tea bags. Bagged tea often contains smaller, poorer-quality leaves, but if you watch the temperature of the water you can get a perfectly pleasant cup from them. Conversely, powdered green tea known as matcha is a specialty of Japan and, thanks to its importance in the tea ceremony, usually of high quality. Traditionally, it is whisked with hot water to a froth, but you can also add just a few drops of hot water to a teaspoon of matcha powder, stir to a paste, then add more hot but not boiling water to finish the cup. Stir well and drink. 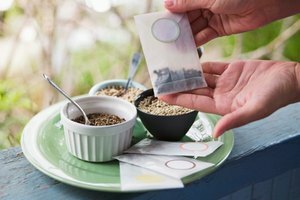 Although it's traditionally consumed unsweetened, there's nothing stopping you from trying a little sugar -- or other sweetener -- in your cup to enhance the flavor or your green tea. A touch of honey may be all that you need to make it palatable to your tastes. You can also experiment with agave syrup, stevia and artificial sweeteners as you prefer. Some people find that adding fresh lemon juice into a cup of green tea enhances the flavor. The citrus notes bring out the perfume of the tea and balance the bitterness. Some prefer this combination with a touch of sweetener while others go without. 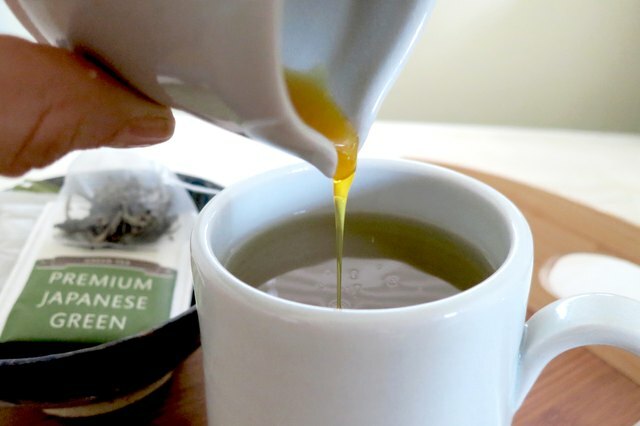 Try squeezing a lemon wedge into your morning serving of green tea and take a sip, then sweeten to taste. In Morocco, green tea combined with mint is a staple beverage and offering a pot to a guest is simply basic hospitality. This brew is usually highly sweetened as well. 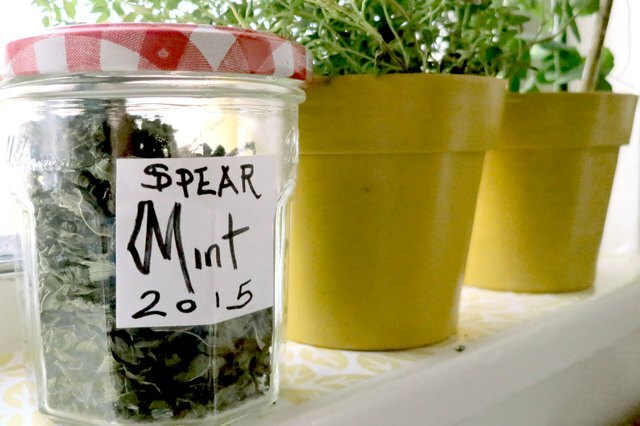 It's easy to find tea blends that reproduce this pairing, but it's just as simple to add a sprig or 2 of fresh spearmint to your tea leaves before pouring the hot water over them. Though traditionally used more with black tea blends, warm spices work well with green tea as well. The spicy, bright quality of ginger in particular rounds out the flavor of a cup of green tea nicely. Ground cinnamon can also be used to flavor a cup of green tea; try adding a pinch of cardamom as well. Jasmine is a traditional addition to green tea in China, and a pot of jasmine tea is almost a requirement at any dim sum meal. 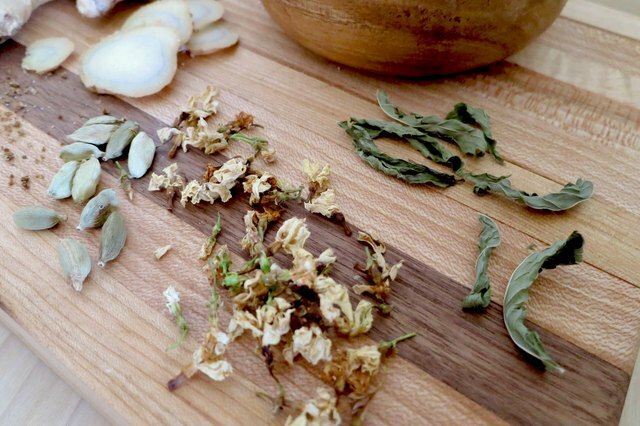 You can add dried jasmine flowers to any green tea to make your own blend. 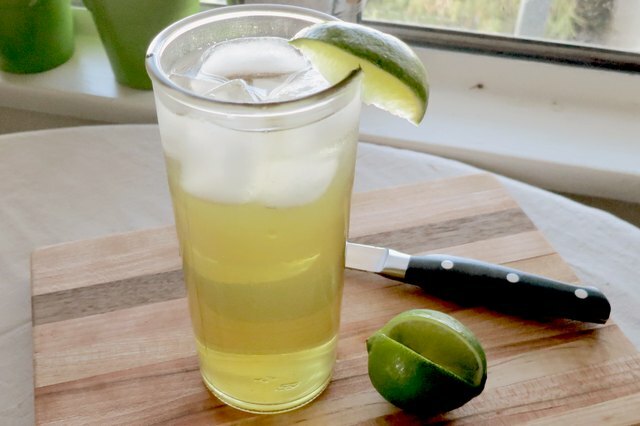 Iced tea is traditionally brewed from black tea, but iced green tea has started to come into its own lately as well. 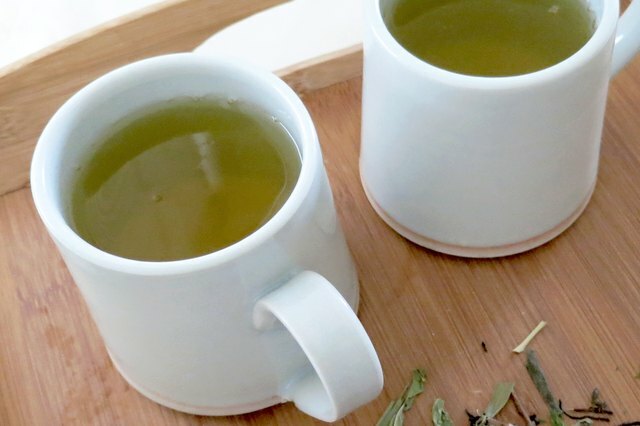 Serving green tea cold reduces its bitter characteristics, thus improving its flavor for some drinkers; in fact, some find the flavor of iced green tea a little too muted. Add flavorings such as mint, ginger and orange, lemon or lime to compensate. Any flavors that marry well with hot green tea will work just as well with iced tea. Serve sweetened or unsweetened as you prefer. 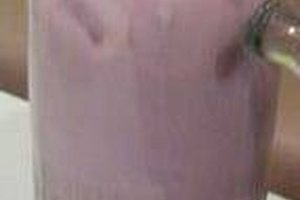 Lori A. Selke has been a professional writer and editor for more than 15 years, touching on topics ranging from LGBT issues to sexuality and sexual health, parenting, alternative health, travel, and food and cooking. Her work has appeared in Curve Magazine, Girlfriends, Libido, The Children's Advocate, Decider.com, The SF Weekly, EthicalFoods.com and GoMag.com. What Is Taro Bubble Tea? How Much Loose Tea for One Cup?